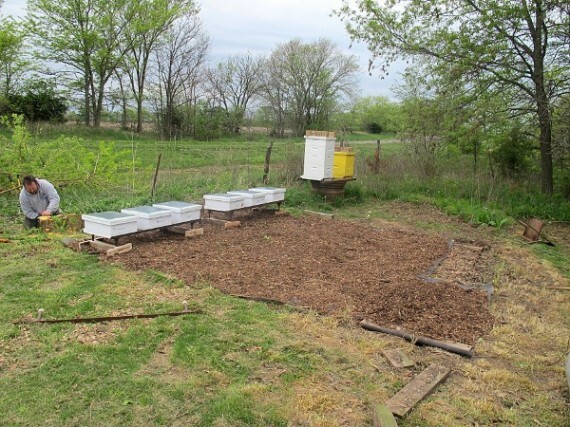 Remember what the “apiary” area looked like with last year’s set up? 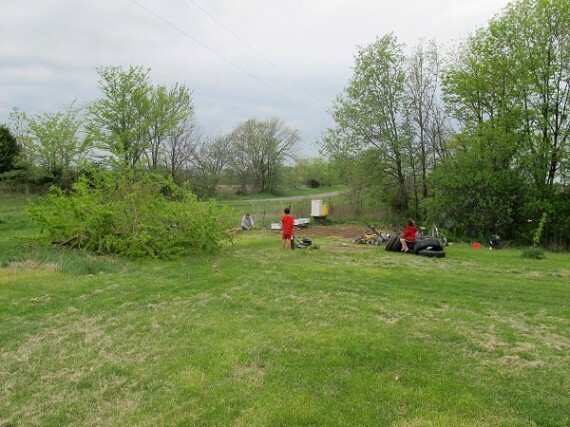 We’d had to clear out a bunch of brush & trees. 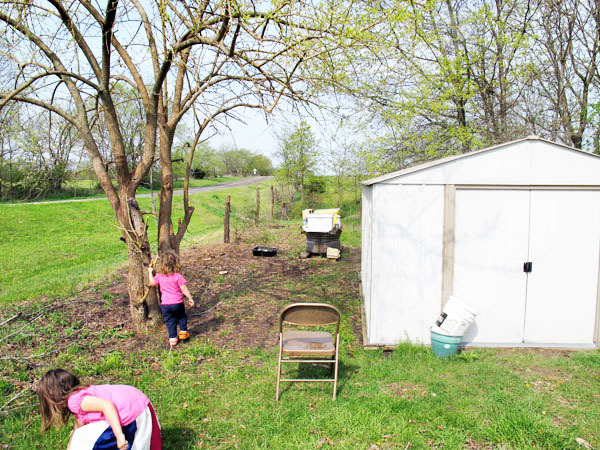 We left one tree, an Osage Orange, because the kids loved climbing it. That shed stored our lawnmowers, tiller, tires, etc, etc, and it wasn’t in the way. Friday morning, the day of the pick up, Steve was out there with the chainsaw, doing some redecorating. 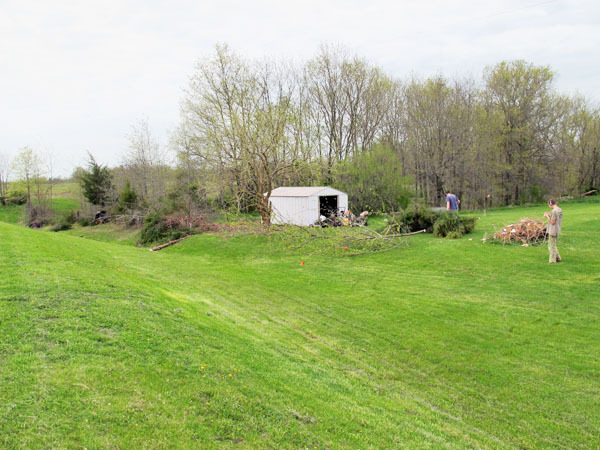 He emptied the shed (the piles you see in the yard there) and pulled the entire shed across the yard and parked it at the end of the driveway. Voila! Instant room to expand! 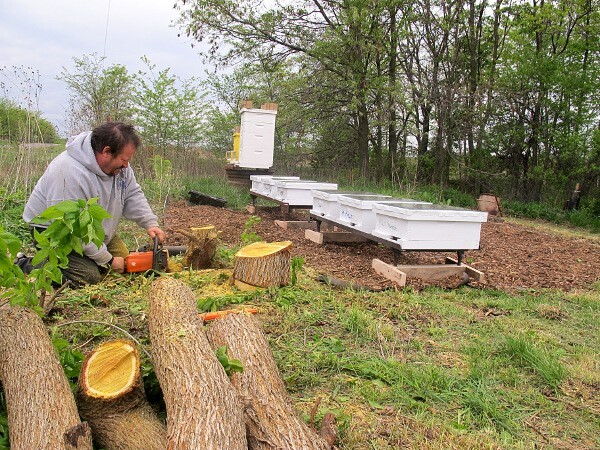 We laid down weed barrier cloth and covered in wood chips, then placed the hives in a line with the old hives. 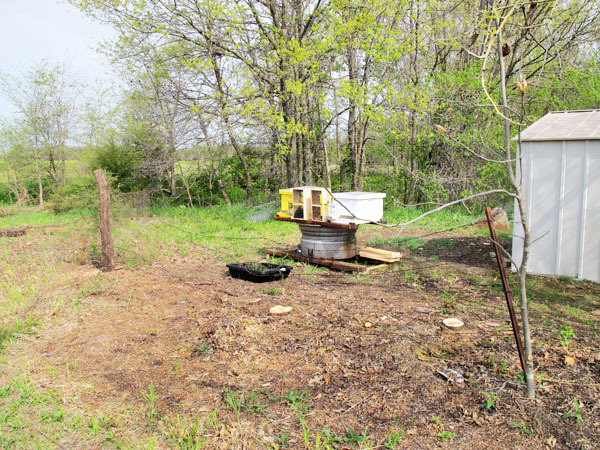 There’s room to have another line of hives on the backside, facing the opposite direction. Now we have room for whatever splits & swarms we come up with down the road — without the last-minute panic! To be concluded tomorrow. I have a zillion seedlings in the basement, screaming out for me to pot them up.